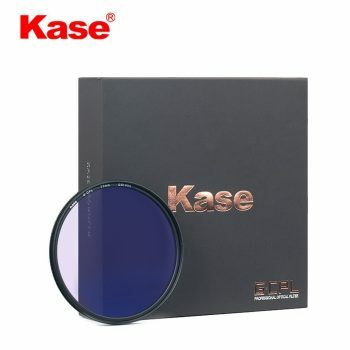 I was asked recently to do a quick review some screw-in filters for Kase UK. I have to say I’m not normally a big user of filters mainly because I exposure blend and also I mainly shoot landscapes rather than seascapes. 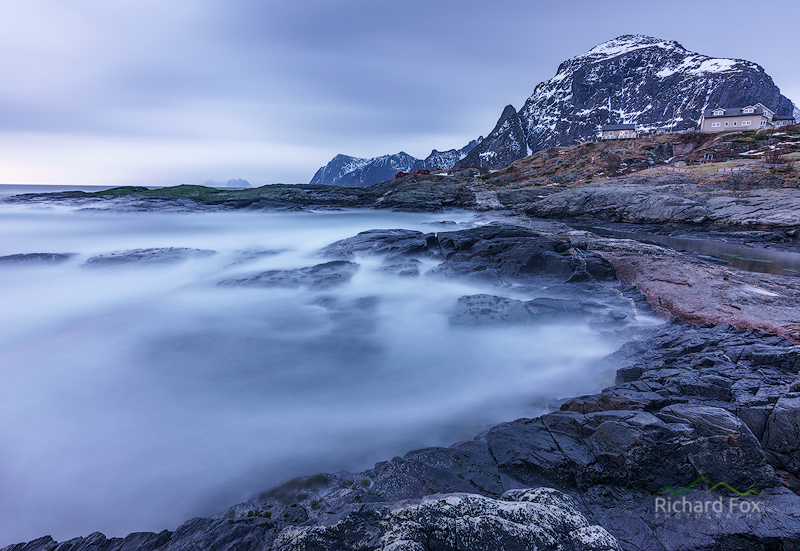 However the timing was perfect as I had a trip planned to the Lofoten Islands in Norway, mostly shooting seascapes (and the odd aurora of course). I was sent 3 of their screw-in filters, which turned out to be some-what ideal, considering I would not have to take my old Lee 100mm filter system with me, including the bulky 105mm Heliopan CPL. 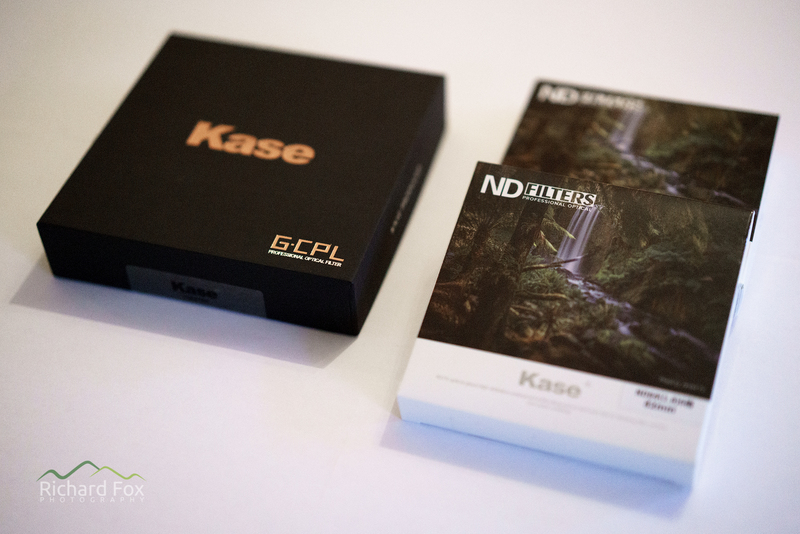 These included an 82mm ultra-slim G-CPL, ND64 (6 stop) and an ND100 (10 stop). 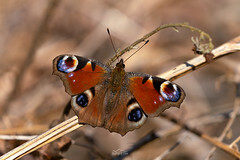 The beauty of these, especially in Norway (I was to experience), is they are great in poor conditions. Because they are small and secure I would not likely have the problem with sea spray behind the filters, on the front elements, also less likely to blow out of my hands and suffer from light bleeds from the side and behind the camera, when side or back lit. Anti-Reflection Coating, Super Water & Stain Resistant. Ultra Thin Milling Frame, Matt Black Superfine Frosted Frame. 6 and 10 Stop Exposure, No Color Cast, Smooth Surface Finish. 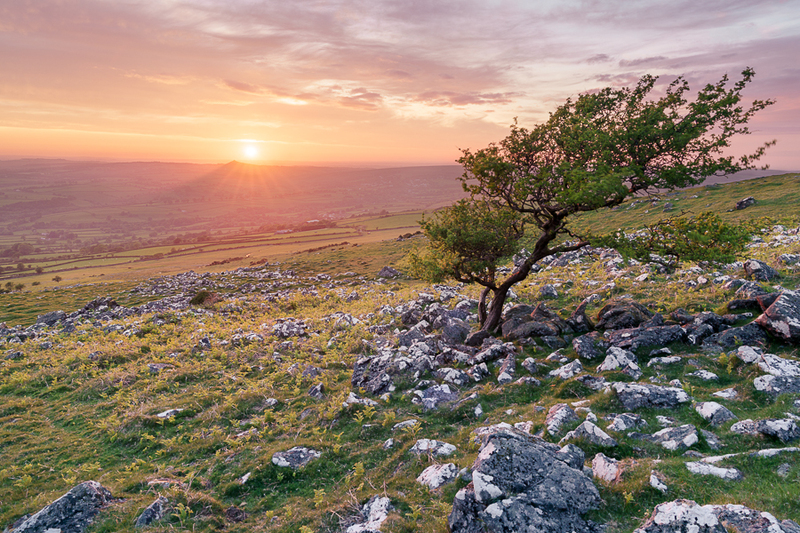 Ultra Thin Filter Frames Can Avoid Vignetting on super Wide Angle Lenses. All Materials Meet the Requirements of European Union’s standards of Environment Protection-ROHS (Restrictions on Hazardous Substances). 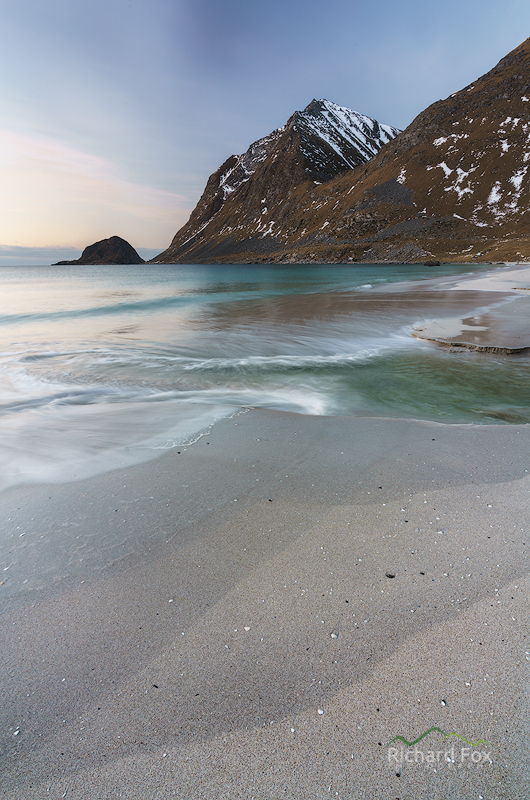 Daylight hours, in Norway , in January are somewhat limited with sunrise being 10.30am and sunset 2pm. 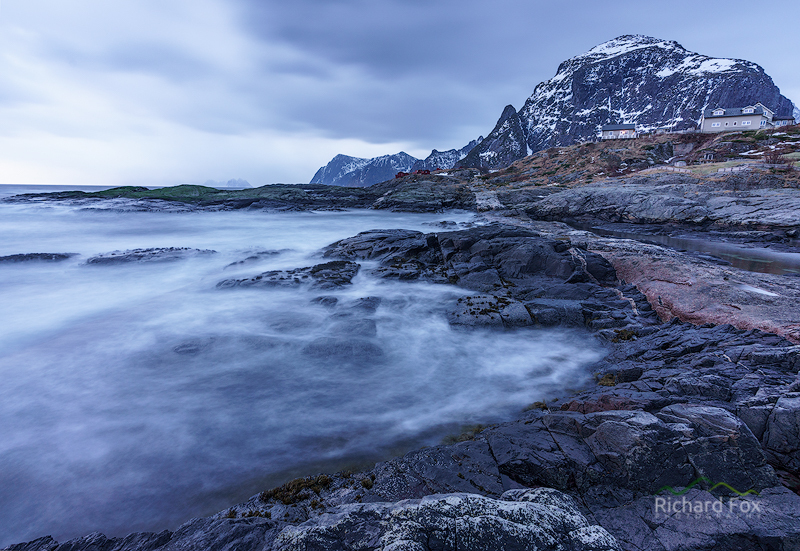 We had plenty of cloud the first few days and plenty of blue hour light to test them. I tried to test the overall usability of the filters, the IQ and probably the most important factor the colour cast. 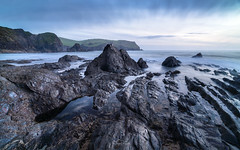 Having used a few ND10s and the little stopper I was expecting some colour casting and also a blue cast rather than a red cast (which I feel it easier to compensate for in post). 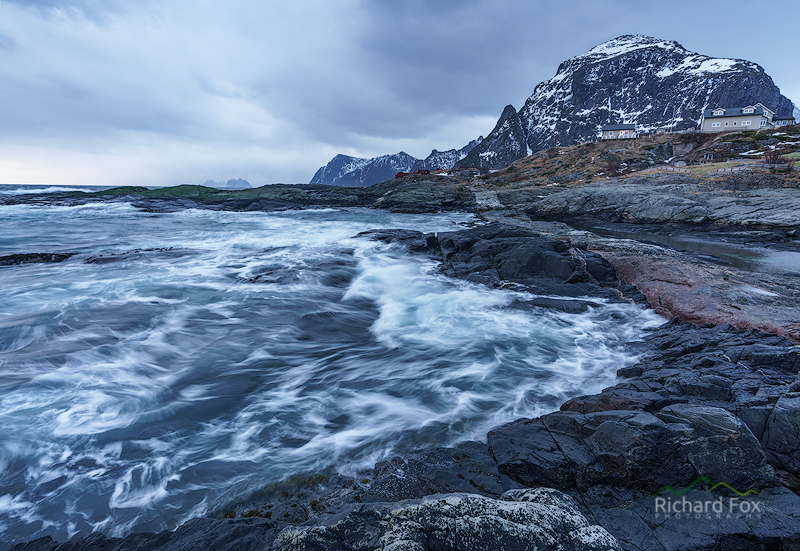 Each of the following images were taken in quick succession using a Sony A7R Mark III and a 16-35 GM f2.8 lens. The settings were the same at ISO100, f8 @ 16mm. All of the images were processed the same in Lightroom and I used the ‘cloudy’ white balance setting in Lightroom which is 6500K with a magenta tint of 10. The polariser was very similar, in most respects, to the ND filters. A similar anti-reflection coating to the NDs and also water repellent. It was very easy to clean the salt spray off if with a cloth with very little smearing. Dust, from the sands, also seemed very easy to clean off too. The bezel was, being ultra-slim, hard to twist with cold hands or big fat fingers (if you have them), but the advantage is that it doesn’t vignette at 16mm. I also tried stacking the CPL and an ND together. There was moderate vignetting in the corners only, but this was lost at 18mm on the 16-35 GM lens I used. On the 24-70 GM you could stack them easily at 24mm without vignetting. I found the filter to give a slightly cool colour cast but nothing very different to my Heliopan 105mm. I found that the amount of polarisation, being a very thin filter, to be slightly less than the Heliopan 105mm. It’s not surprising given it’s lack of bulk and thickness but more than enough to prevent reflections and also cause a big dark wedge in the sky typically over polarizing on a wide angle lens (see below). I estimated it gave about 2 stops of filtration rather than perhaps my Heliopan which usually blocks around 3 stops (but then I rarely use my Heliopan on full). 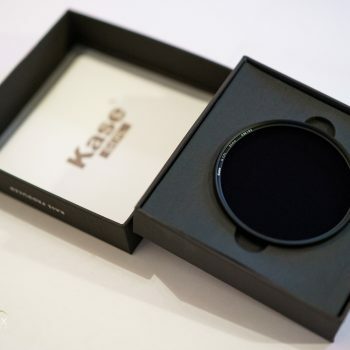 I found these Kase filters to be of a very high standard. I had thought they would perform poorly given their more recent introduction into the UK market and also, and perhaps wrongly, the Chinese label. Out of the box I thought the build quality, materials and the noticeable surface coatings were impressive. I was surprised at the minimal colour casts, even at 10 stops. 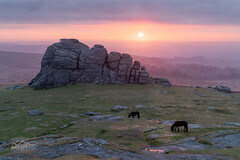 The vignetting was not noticeable unless you stacked two together and this was gone by 18mm. The price for these lenses I also feel are very competitive (The G-CPL I was told could be as little as £55) and also very cost effective. For me I would be quite happy to ditch my 100mm system and the cpl 105mm for these especially as I don’t use graduated filters anymore and prefer to loose the bulk. Obviously one disadvantage is if you have lenses with differing thread sizes. You would either need an adapter, which means potential vignetting or seizing in cold temps (unless you use brass adapters), or multiple filters. Also if you use graduated filters then it would not replace your system (even though you can get graduated screw in filters). Variable NDs are another solution to filtration but again not without their problems esp. with uneven filtering. The G-CPL was very unobtrusive and gave good results. Perhaps not the strongest of polarisation to others I have used but to be honest some CPLs are overkill too. It gave a cool cast but similar to my Heliopan 105mm cpl and less so than my Hoya ultra-slim CPL (which incidentally used to vignette at 16mm on my old Canon 16-35 f4). 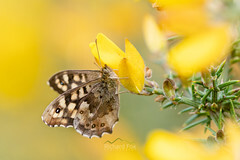 I have to say as a non-grad user the screw-in filters in adverse conditions I find a great alternative. It seals your lens (if you need it – Sony’s front elements are sealed unlike other lens makers) from lots of spray, it prevents back bleeding of light/flare, less likely to fly out of your hand or drop to the floor and also less likely to smash or scratch given their toughness and the metal bevel. 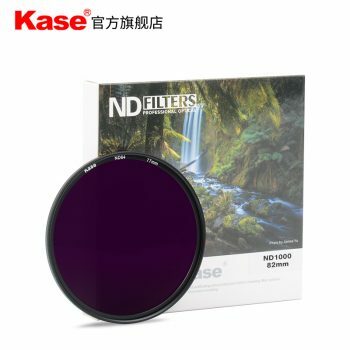 Reviews of the Kase 100mm system and these screw-in filters are slowly emerging, and like other competitors to the likes of Lee filters, such as NISI, they are starting to gain adopters. I will probably buy an 82mm G-CPL and a 3 stop ND soon (when I have the pennies that is). Disclaimer: I was not paid to write this article nor was I given the filters to keep. I returned the filters in the condition they were sent to me by Kase.